John Root was baptized on 16 February 1608 at supposedly Badby, Northants, England. He married Mary Kilbourn circa 1641 at Glastonbury, CT. John Root died in August 1684 at "Missing Place" no. 5161 at age 76. Mary Kilbourn was born circa 1619 at Wood Ditton, Cambridgeshire, England. She married John Root circa 1641 at Glastonbury, CT. Mary Kilbourn died in 1697. [S42] Donald Lines Jacobus and Edgar Francis Waterman, Hale, House and Related Families, Mainly of the Connecticut River Valley, Pages 652-655. Made a marriage contract (Pope 21), 7 Aug 1641, with the widow of Thomas Horton who had d. ca. 1640, and who should not be confused with Thomas Orton. See Francis Bacon Trowbridge's Robert Ashley Genealogy (1896). Robert Ashley died on 29 November 1682. Samuel Hayes Jr. was born on 26 March 1730 at Simsbury, Hartford Co., CT.5,6 He was the son of Samuel Hayes and Elizabeth Willcockson. Samuel Hayes Jr. married Rosanna Holcombe, daughter of Judah Holcombe and Hannah Buttolph, in 1750 at Simsbury, Hartford Co., CT.7 Samuel Hayes Jr. died on 25 December 1801 at Granby, Hartford Co., CT, at age 71.5 He was buried at Old Salmon Brook Cemetery, Granby, Hartford Co., CT.
Samuel was captain of minute men at several alarms. Samuel Hayes was born circa 1698 at Simsbury, Hartford Co., CT. He was the son of George Hayes and Abigail Dibble. Samuel Hayes married Elizabeth Willcockson, daughter of Sergeant William Willcockson and Elizabeth Wilson, on 16 July 1719 at Simsbury, Hartford Co., CT.
From Tempest Samuel Hayes Sr., whose daughter Susanna was Reuben Holcomb's wife, had four sons in need of farms between 1750 and 1765. he began by purchasing a relatively new farm from Return Holcomb in 1750 for his eighteen-year-old son Asahel (who had just married Reuben Holcomb's sister Martha). In 1753, he helped his son Samuel Jr. buy land east of Bush Hill Road and north of what is now Rt. 20. Three years later he bought land from Solomon Halladay, who was in the process of giving up on Salmon Brook and returning to Suffield, and saved it three years for his son Andrew. He also took care of nineteen-year-old Silas in that year, giving him land north of Samuel Jr.'s (which made sense since these two brothers had married daughters of Judah Holcomb). When Asahel, Andrew and their brother-in-law Reuben Holcomb used £135 of the late Samuel Hayes Sr.'s estate in 1762 to pay speculator John Roberts of Windsor for a large lot straddling present Rt. 20 in West Granby, this collection of brothers and sisters had pretty much laid claim to that little valley at the foot of the West Granby Gorge. Elizabeth Willcockson was born on 11 October 1700 at Simsbury, Hartford Co., CT.1 She was the daughter of Sergeant William Willcockson and Elizabeth Wilson.1 Elizabeth Willcockson married Samuel Hayes, son of George Hayes and Abigail Dibble, on 16 July 1719 at Simsbury, Hartford Co., CT.
McCracken (TAG 59:1) goes into great lenght proving why Elizabeth, wife of Samuel Hayes, was daughter of Serteant William and Elizabeth (Wilson) Willcockson. Benjamin and Rosanna were cousins. McPherson indicates Rosanna died "1779?" [S25] Hannah McPherson, Holcombe Genealogy, Page 149.1/Item A-8-1-6-1-1. [S25] Hannah McPherson, Holcombe Genealogy, Page 151.2, Item A-8-1-6-1-2. Temperance Hayes was born on 14 December 1761. She was the daughter of Samuel Hayes Jr. and Rosanna Holcombe.1 Temperance Hayes married Luther Foote, son of Capt. 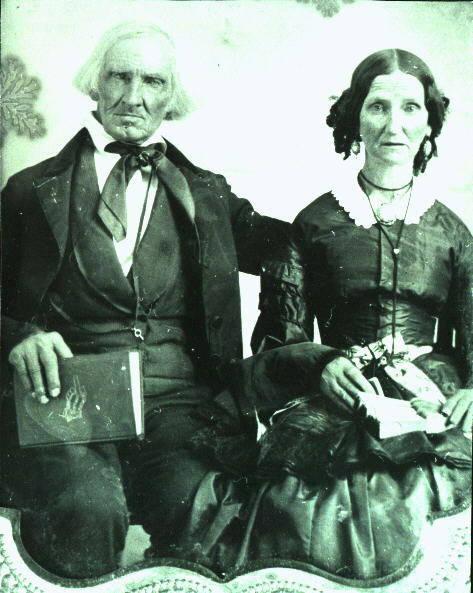 John Foote and Roseanna Humphrey.2 Temperance Hayes died in 1787. Levi Hayes was involved in both the Scioto Land Company that founded Worthington, Ohio, and the Licking Land Company that founded nearby Granville, Ohio. Pliny Hayes was born on 6 June 1766 at Simsbury, Hartford Co., CT. He was the son of Samuel Hayes Jr. and Rosanna Holcombe.2 Pliny Hayes married Lucretia Jewett on 14 November 1787 at Lyme, New London Co., CT. Pliny Hayes died on 2 August 1831 at South Bristol, Ontario Co., NY, at age 65. The information on Pliny (1766-1831) and his descendants is from a published genealogy torn from a larger, unidentified book. [S243] Rev. Charles Wells Hayes, George Hayes, Page 60, Item 41. Martin Hayes was born on 31 March 1776 at Simsbury, Hartford Co., CT.1 He was the son of Samuel Hayes Jr. and Rosanna Holcombe.2 Martin Hayes married Mary Camp on 25 December 1798 at Ridgebury, CT. Martin Hayes died on 19 August 1847 at Greene, Erie Co., PA, at age 71. Mary Holcombe was born in 1763 at Granby, Hartford Co., CT.3,4 She was the daughter of Lt. Silas Holcombe and Mary Post. Mary Holcombe married Job Case Jr., son of Capt. Job Case and Joanna Wilcox, on 21 April 1784 at First Congregational Church, Simsbury, Hartford Co., CT. Mary Holcombe died on 2 October 1803 at Granby, Hartford Co., CT; dysentery.5 She was buried at Lee Cemetery, Granby, Hartford Co., CT.
Children of Mary Holcombe and Job Case Jr.
[S59] Ruth Cost Duncan, John Case, Page 49/Item 96. [S25] Hannah McPherson, Holcombe Genealogy, Page 161.2/Item A-8-1-6-2-1. [S312] Virginia Mccormick, Scioto Company Descendants, Page 99. [S312] Virginia Mccormick, Scioto Company Descendants, Page 100. [S178] Christina Bailey and Lorraine Cook White, Barbour: Granby, Page 81. [S66] Mark Williams Granby VR, Page 244. [S59] Ruth Cost Duncan, John Case, Page 95. [S312] Virginia Mccormick, Scioto Company Descendants, Page 57. [S59] Ruth Cost Duncan, John Case, Page 95, Item 224. [S312] Virginia Mccormick, Scioto Company Descendants, Page 101. ]Mary and Chester had a large family, but because of a courthouse fire, little is know of them. Virginia McCormick reconstructed the family here based on census records and letters of Juliia Buttles Case. Subsequently, Dottie McCoy Rayhawk of Valley Center, CA, provided information from a diary written by Pollly Case Wells. [S312] Virginia Mccormick, Scioto Company Descendants, Page 102. [S312] Virginia Mccormick, Scioto Company Descendants, Page 103. [S312] Virginia Mccormick, Scioto Company Descendants, Page 103, 108. [S312] Virginia Mccormick, Scioto Company Descendants, Page 109. [S312] Virginia Mccormick, Scioto Company Descendants, Page 110. [S23] Jesse Seaver, The Holcomb(e) Genealogy, Page 43, 54, 76-78. [S25] Hannah McPherson, Holcombe Genealogy, Page 161.2/Item A-8-1-6-2-2. [S25] Hannah McPherson, Holcombe Genealogy, Page 112/Item A-8-1-1-9-1. [S23] Jesse Seaver, The Holcomb(e) Genealogy, Page 76/Item 237. [S65] Deanna Holcomb Bowman Thomas Holcomb, Vol. I:Pg. 152/Item 81171. [S803] Linda MacLachlan, Hebron Records, page 79. [S25] Hannah McPherson, Holcombe Genealogy, Page 161.2/Item A-8-1-6-2-3. [S419] Carol Laun, Beneath These Stones, Page 52. Lt. Ferdinand Clemmons was born in 1764. He married Anna Holcombe, daughter of Lt. Silas Holcombe and Mary Post. Lt. Ferdinand Clemmons died in 1836. Anna Clemmons was born at Granby, Hartford Co., CT. She was the daughter of Lt. Ferdinand Clemmons and Anna Holcombe. Allen Clemmons was born at Granby, Hartford Co., CT. He was the son of Lt. Ferdinand Clemmons and Anna Holcombe. [S25] Hannah McPherson, Holcombe Genealogy, Page 161.2/Item A-8-1-6-2-3-2. Willis Clemmons was born at Granby, Hartford Co., CT. He was the son of Lt. Ferdinand Clemmons and Anna Holcombe. Philo Clemmons was born at Granby, Hartford Co., CT. The Granby Town Records note that he was a highway surveyor and on April 6, 1840, was a Elector of the State. He was the son of Lt. Ferdinand Clemmons and Anna Holcombe. [S66] Mark Williams Granby VR, Vol II:Pgs.104, 109, 157. Capt. Silas Hayes was born on 28 February 1739/40 at Simsbury, Hartford Co., CT.1 He was the son of Samuel Hayes and Elizabeth Willcockson. Capt. Silas Hayes married Hannah Holcombe, daughter of Judah Holcombe and Hannah Buttolph, on 16 November 1757 at Simsbury, Hartford Co., CT.2 Capt. Silas Hayes died on 1 April 1801 at Granby, Hartford Co., CT, at age 61.3 He was buried at Salmon Brook Cemetery, Granby, Hartford Co., CT. Bowman claims Silas is the son of Samuel; McPherson say he is the son of Gamaliel II. Oliver Hayes was born on 26 August 1758. He was the son of Capt. Silas Hayes and Hannah Holcombe. Silas Hayes was born on 16 October 1760. He was the son of Capt. Silas Hayes and Hannah Holcombe. Silas Hayes died in 1761. Hannah Hayes was born on 17 November 1762. She was the daughter of Capt. Silas Hayes and Hannah Holcombe. 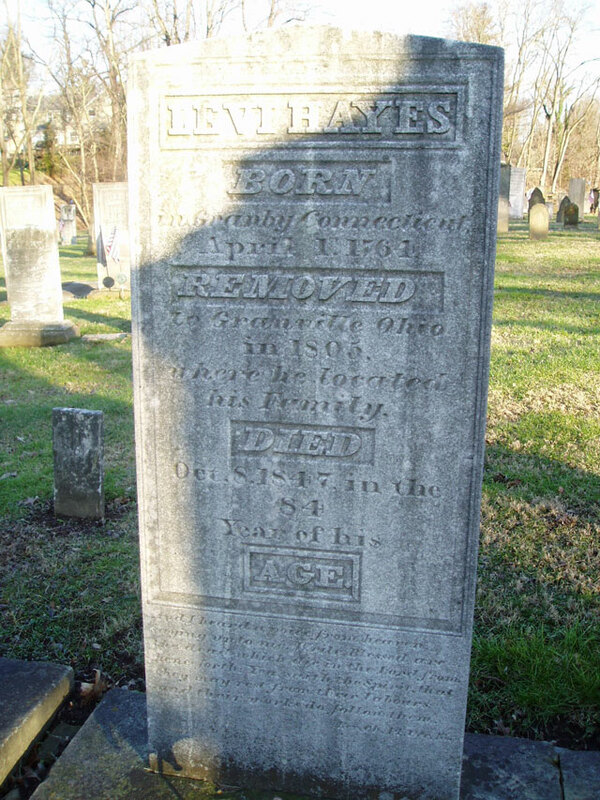 Eli Hayes was born in 1765. He was the son of Capt. Silas Hayes and Hannah Holcombe. Rosetta Hayes was born in 1767. She was the daughter of Capt. Silas Hayes and Hannah Holcombe. Rosetta Hayes married Roger Moore, son of Joseph Moore and Mary Stevens, in 1786. Rosetta Hayes died on 7 November 1831 at Southwick, Hampden Co., MA. Roger Moore was born on 6 October 1751 at Simsbury, Hartford Co., CT. He was the son of Joseph Moore and Mary Stevens. Roger Moore married Rosetta Hayes, daughter of Capt. Silas Hayes and Hannah Holcombe, in 1786. Roger Moore died on 26 June 1838 at Southwick, Hampden Co., MA, at age 86. Mary Stevens was born on 3 May 1720.1 She was the daughter of Thomas Stevens and Miriam Buell. Mary Stevens married Joseph Moore, son of Benjamin Moore and Eunice Phelps. Deborah Hayes was born in 1770. She was the daughter of Capt. Silas Hayes and Hannah Holcombe. [S25] Hannah McPherson, Holcombe Genealogy, Page 163.2/Item A-8-1-6-4-6. [S25] Hannah McPherson, Holcombe Genealogy, Page 163.2/Item A-8-1-6-4-7. Silas Hayes was born in 1775. He was the son of Capt. Silas Hayes and Hannah Holcombe.